Good evening. I’m considering shifting Tech at Night to Tuesdays, Thursdays, and Saturdays. But I might not. I’ll have to think about it. So, more CISPA. The comparison with SOPA is absurd. I put out a challenge for anyone to refute the claim first by the Republicans and now by Facebook that there are no new mandates in CISPA. No takers so far. That’s because CISPA is not SOPA. In fact I’m disappointed that CISPA backed down on copyright infringement, as that was the real reason for the CISPA objections. Anti-copyright radicals were angry about property rights. 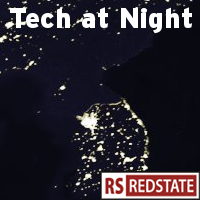 Welcome to Tech at Night, the series the radical left says is shaping the debate. I sure hope I am. After losing on Net Neutrality and on the America Invents Act, I’d like to get a win. The next chance for a win is in the House, which is debating SOPA, the bill that would create a national censorship blacklist online. Helping to lead the fight against SOPA is actually Google, who joins with other firms to oppose the bill. I know. Whodathunkit? But they’re right on this one, which is why we’re seeing weird things like Darrell Issa stick up for Google as the firm becomes a scapegoat for foreign infringers. Tumblr has joined the fight, encouraging you to contact your member of Congress while the site draws attention to the issue. Tech at Night: It is urgent that we stop SOPA; Google wising up? Censorship’s the big word right now. The FCC’s under pressure to ban pro sports blackouts, and the Supreme Court may end national profanity rules. However I consider those things small. Few people have access to television broadcasts. Most of us aren’t actually censored by these regulations. We all have access to the Internet though; that’s how a nobody like me is able to shape the debate against well-funded leftist groups. So I’ll freely admit it: It’s a self-serving thing for me to oppose Internet censorship. I don’t want the Obama administration to have the power to collaborate with private leftist groups to steal people’s domains, and force all ISPs to cooperate with that effective creation of a national censorship blacklist. They want to call the little guys “E-PARASITES,” using copyright as cover to censor whatever the heck they want. Because once you let the government start blanking out parts of the Internet, then what’s to stop them from blanking out oversight of that censorship? Nothing. Just ask Australia, which censored the internet “for the children,” but then started banning oversight of the censorship, as well as unrelated content like American anti-abortion websites. The committee vote on SOPA / E-PARASITES is coming, and I’m hearing that the witness list for the bill is stacked 5-1 in favor of the bill. In the Republican House, we’re rigging the hearings in favor of giving the President more regulatory power over the Internet. It boggles the mind. Please consider contacting the Judiciary Committee and asking them to oppose this censorship power grab. If the US Government starts monkeying around with DNS, the world will ignore it, the same way we ignore Chinese attempts to censor the Internet. We will lose our position as world leader of the Internet overnight. Why can’t the news come in even intervals, instead of batching up all at once? So yes, the Senate Net Neutrality vote is coming up. Credit where it’s due: Kay Bailey Hutchison moved the ball forward on this, no doubt about it. Credit also to Marco Rubio making headlines with his strong support of the repeal. And Rubio is right: the whole thing is ridiculous. This regulation closes; it does not open the Internet. Which is why Obama is threatening a veto: can’t have the Congress undoing a regulatory power grab, can we? The representatives of the people, what do they know? Don’t forget to tell your Senators, especially if they’re Democrats or Scott Brown, to vote for the repeal! We’ve lost some battles lately. That’s what happens when we let a radical Democrat become President. We let Patrick Leahy’s America Invents Act pass, imposing on America a Euro-style patent system that rewards lawyering, not being the first to invent something. We let the FCC pass an illegal Net Neutrality power grab, and that will have to go to court soon. We’re even seeing some nominally Republican-run states get on big government bandwagon against AT&T, sadly joining in the effort by the Obama administration and Sprint Nextel to hinder competition and pad Sprint’s bottom line. What are Ohio and Pennsylvania doing there? Come on. But at least we’re on track to get meaningful 4G competition. Some question the firm’s ties with the Obama administration, but I welcome progress toward LightSquared launching its network. Unlike Obama and Holder, trying to prop up Sprint, I actually want competition and lower prices. Free Press is getting the heat. It’s been exposed through FOIA that the far left front group was secretly coordinating media strategy with people at the FCC, including Commissioner Michael Copps. So when Copps makes a statement about media regulation, Free Press’s pet issue, I have to assume they wrote it for him. Media Reform is their code for nationalization of the press, after all. So now that they’re getting exposed, it’s almost not surprising that Free Press and their allies at the FCC are getting violent against conservatives and others exposing the truth about them. Let me interrupt the Free Press update with some great news, though: Spain has made some arrests in connection with the Playstation Network attack I would love for every one of these antisocial online goons to get real jailtime. Have you ever noticed that the Soros-funded left never refers to Sprint Nextel by the firm’s full name? They only talk about Sprint. You know why? If they say Sprint Nextel, it’ll remind everyone that when #3 Sprint and #4 Nextel merged, wireless competition, prices, and service all improved. If you remember that fact, they think you might make the “wrong” predictions about #2 AT&T and #4 T-Mobile merging, creating a better threat to Verizon, improving competition, service, and prices. They’re both right on the money. Their interests are not those of the public. they want to socialize the mass media in America. They call it media reform. Remember “health care reform?” Yeah. 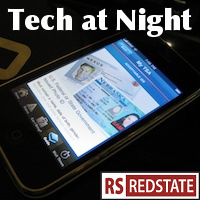 We’re very late “tonight” for Tech at Night on “Friday,” but that’s because the time I normally spend on these posts I instead spent setting up my new iPad, which I will need for next month’s RedState Gathering. So apologies all around, and here we go. Net Neutrality news is picking up steam. While the official story is that the FCC has cowed before Free Press‘s complaints and has ended its meetings with industry leaders to plan its Net Neutrality action, that’s not the center of the action anymore, necessarily. Not when industry, both for and against Free Press’s Net Neutrality, is going its own way.